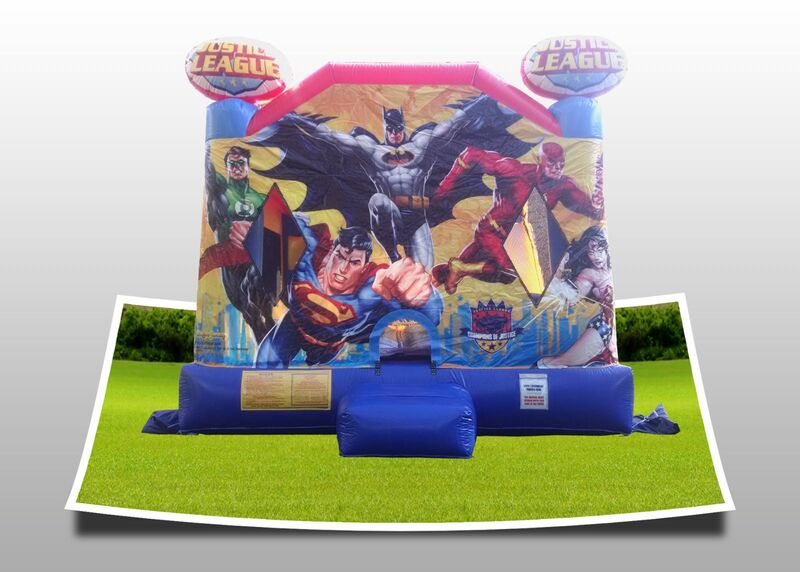 Justice League Combo Rentals | Renting a Large Castle Combo | The Inflatable Fun Co.
JUSTICE LEAGUE COMBO IS HERE!! We are proud to present our newest inflatable combo unit. A combination bouncer, climbing wall and a slide. There is also a basketball hoop inside. These combo units are our best value. The kids will be entertained for hours.